Good News, Babylon 5 fans! 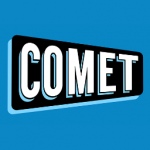 Comet TV is now airing Babylon 5. “Midnight on the Firing Line” is airing on October 2. Check your cable tv listings for broadcast times, or on your Roku device! Since June 1, Babylon 5 has been available to stream for Amazon Prime subscribers. The show hasn’t been seen on streaming services since it was briefly on Hulu in its early days, and this past year on go90.com (which is shutting down completely next month). Our thoughts and best wishes for Peter’s recovery go out to him. 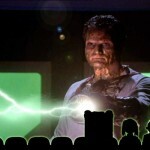 Let the guest announcements begin! 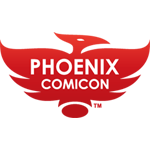 Phoenix Comicon is proud to begin our guest announcements for 2013 with the creator J. Michael Straczynski and principal cast members of Babylon 5. Jeffrey returns from his explorations along the Rim to join Tim, Summer and Jeremy for the final official episode of The Babylon Podcast. Poll: Would you like to hear the Babylon Podcast team do episode commentaries? Since the poll numbers are running very high in favor of us popping up now and again with our own commentary on Babylon 5 episodes, you tell us which ones should be on the list to get the special commentary track treatment. So, once we turn out the studio lights here, the long term plan is to keep the place shipshape and running as long as possible. It’s not like the Internet has shipping lanes that archival sites can be a danger to! Tim relates an article from io9’s Charlie Jane Anders article, Please explain Babylon 5 to us!, and the offer is still out to Charlie if she wants to join us some day for a roundtable Q&A, where we’d do our best to answer her questions, and to keep those responses to under 5 minutes each. As heard in the previous episode, this is the video Jeffrey Willerth made in honor of the passing of Michael O’Hare. 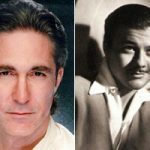 In quick succession, the Babylon 5 universe lost two of its stars at the end of September, Michael O’Hare and Turhan Bey. 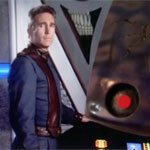 We take a moment to remember them, and their all too brief moments here with us and on Babylon 5. Discussion: Oh, the humanity! Even with Warner Bros being inconsistent with licensing terms, pulling licenses before items were completed or in some cases, had even gotten off the drawing boards, there’s still a LOT of stuff out there for a dedicated Babylon 5 fan to search for and immerse themselves in.